In the last two weeks I’ve had my morning commute slightly enlightened by something big, American and making a fair old noise. 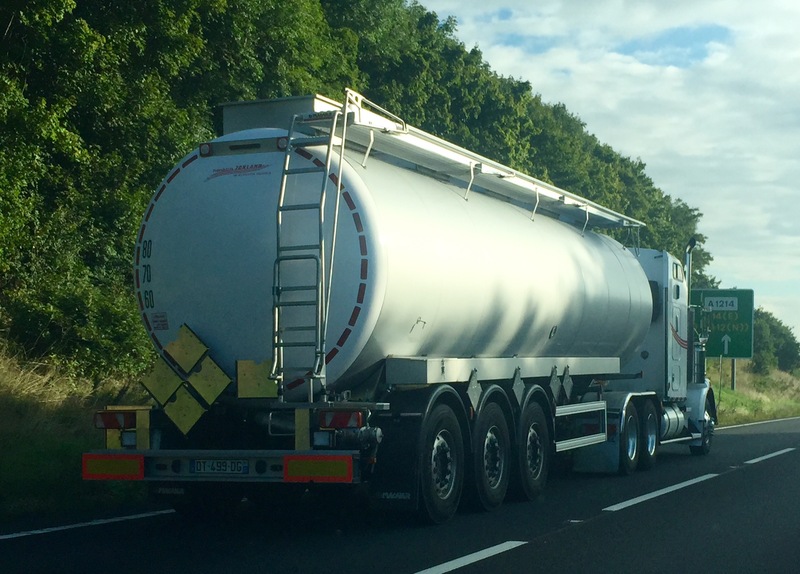 As I queue northbound on the A12 Ipswich bound at the Copdock roundabout I have twice in two weeks stumbled upon a big American tanker. 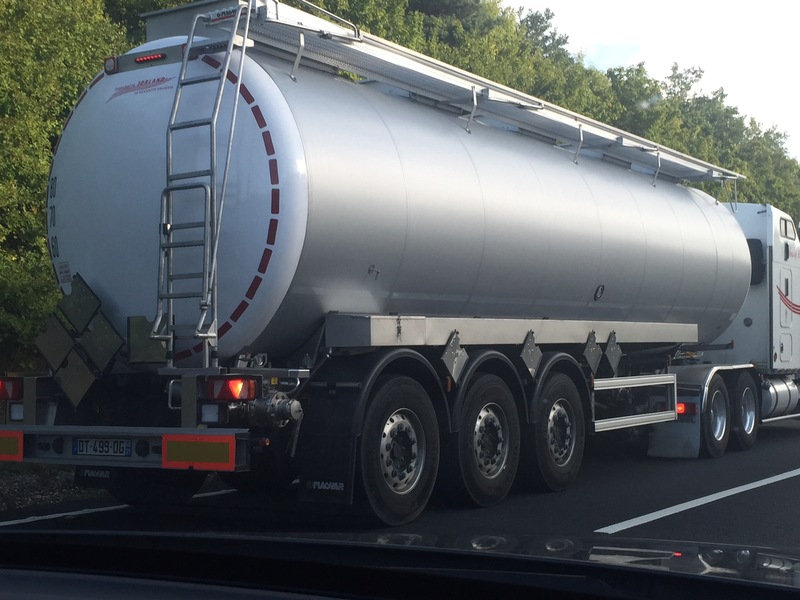 Both have been foreign registered, the one above being French, but both pulling what look like food grade tankers as neither had any HAZ markings. 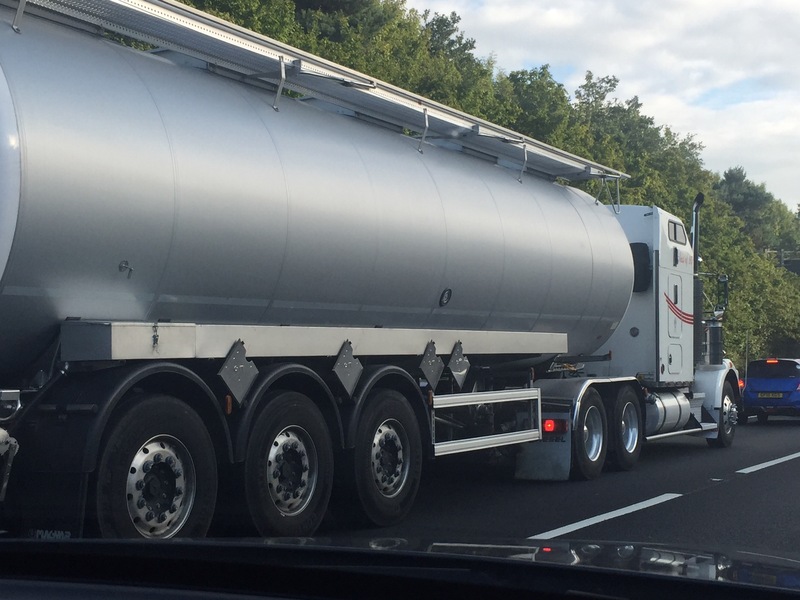 I’m guessing that as they are on tanker work our French friends have decided that they can have something a little more exciting as the tankers are short, it allows more length for a decent tractor unit. 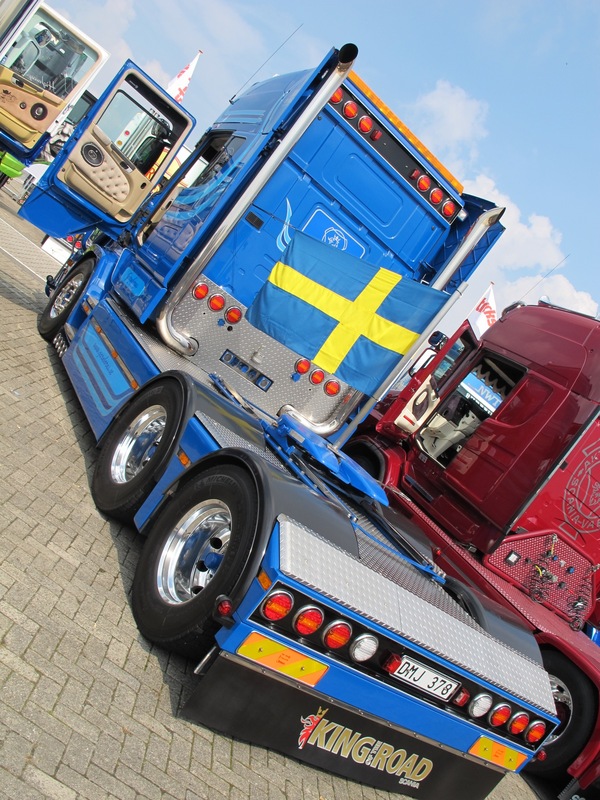 Personally I think my choice would be a European truck such as the Volvo VN’s or a Tcab Scania as the ride is far better than the American metal. 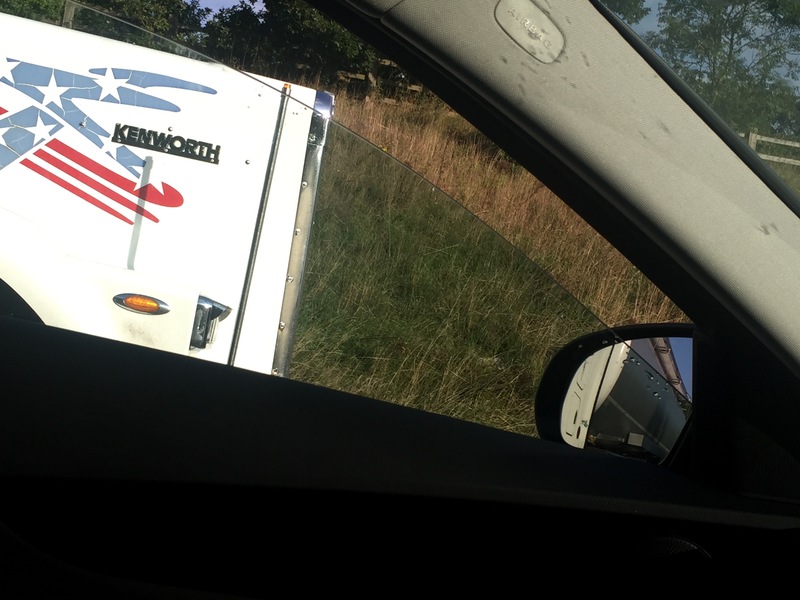 Saying that there is still something very enjoyable Bout motoring along with a big Kenworth on British roads. You might just note in the photo above I had my window slightly ajar. The reason being is that these lovely old Americans still have Jake Brakes in full working order, so trickling along in the morning traffic jam means you get a fairly lengthy tune from the Jake as the tanker rolls down towards the roundabout. Beautiful. 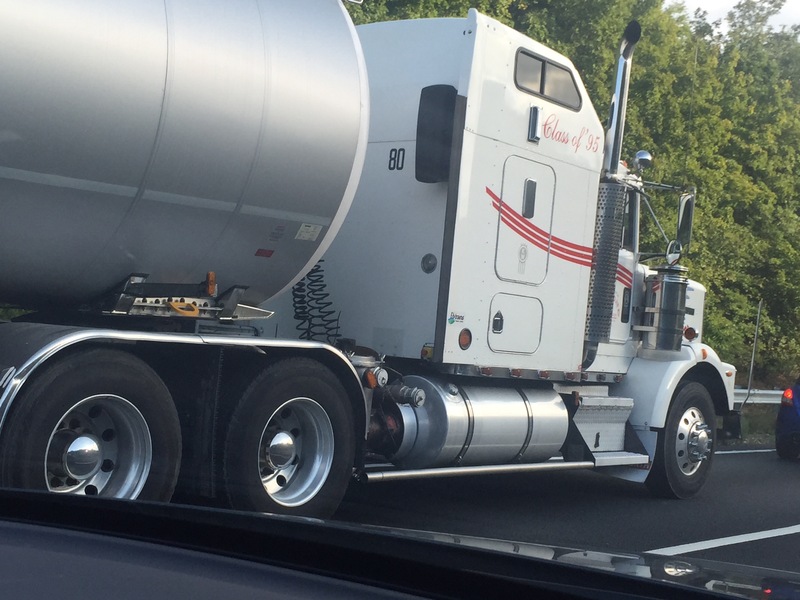 I would have to assume that these tankers jobs are paying pretty well as the MPG can’t be up to much. 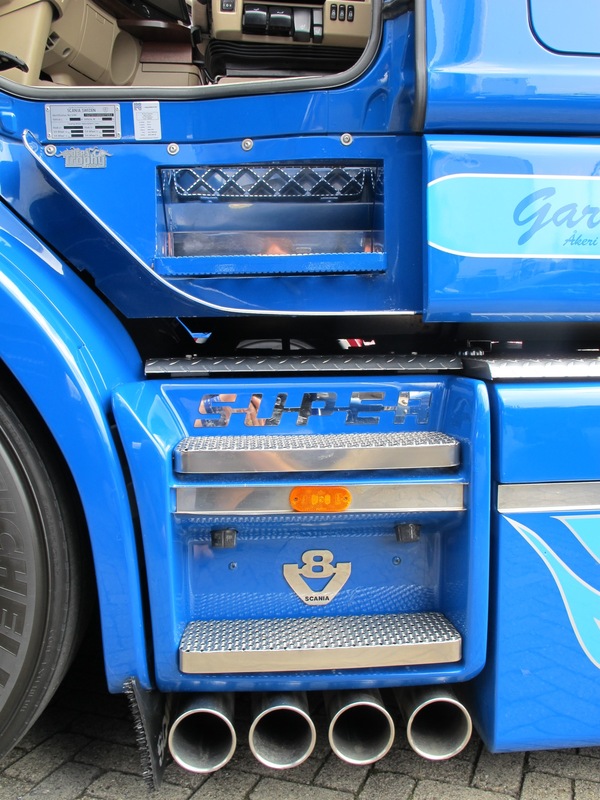 While watching another Big Rig Videos rolling CB interview the other day, the driver seemed pleased with himself that on a good run when trying, he could get his MPG all the way up to 5.5mpg!!! Anyway I’m not fussed as long as the job they are heading to continues I’ll keep enjoying their soundtrack instead of the usual drivel on the radio in the mornings. 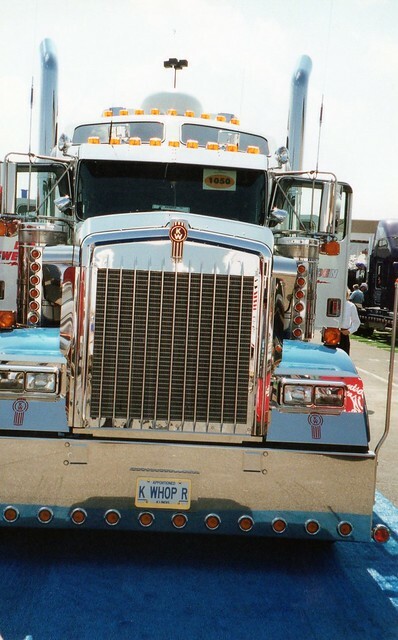 Below is the other Kenworth I saw a few weeks back. Now that big exhaust sounded even better than this weeks, both going forward as well as with the Jake. 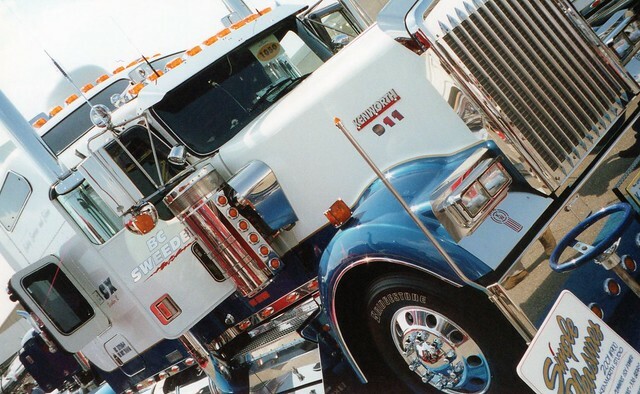 Big Rig Videos – New Vids! For those of us on the more regulated side of the pond, we can only dream of Big Pete’s, K’Whoppers, Bulldog Macks (with or without a can on the back!) 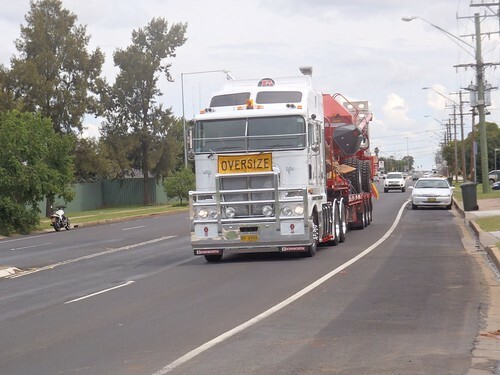 and the like, we have to put up with our length regulated, cab-over trucks (for most of us). If any of you are anything like me then I long to go back to the States now I’ve got other the need to go to Disneyland, I’d rather go to Florida to meet up with man behind the camera and CB interviews of Big Rig Videos, Christopher. 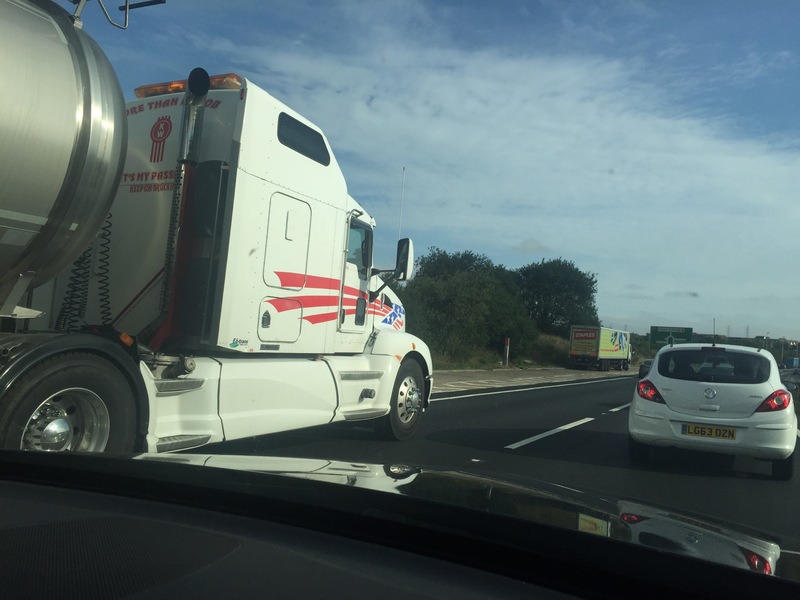 I love just watching trucks rolling along the motorway as it is, but Big Rig Videos brings us all the trucks and big rig from the US, well all those that and trucking up and down Florida on their way to and from where ever. For example the big orange Peterbilt from Fox Trucking above is on a fairly decent length trip from Denver, Colorado down to Miami, Florida. That’s just over 2,000 miles and something like 8 states, for comparison, it’s virtually the same distance as Manchester, England to Istanbul, Turkey. Last but not least, I will put up a video I have put on the blog before, but for me it is one of the best looking Amercian rigs I have seen. Plain and simple and in a lovely deep purple colour, the only way the video could have been slightly better, would have been catching the rig loaded, but you can’t have everything. 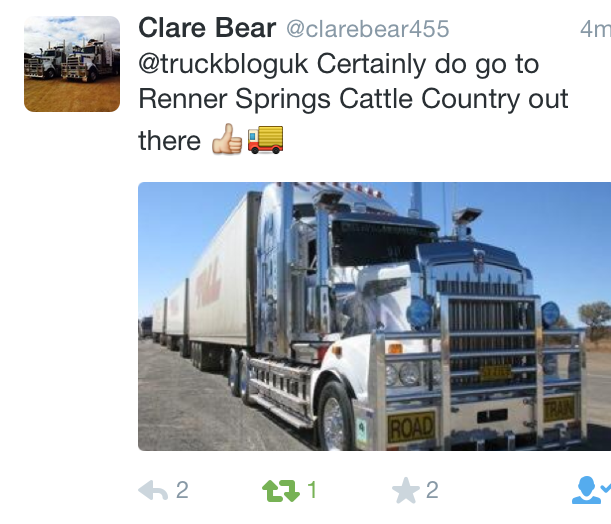 Keep on trucking – 10-4 over and out!! 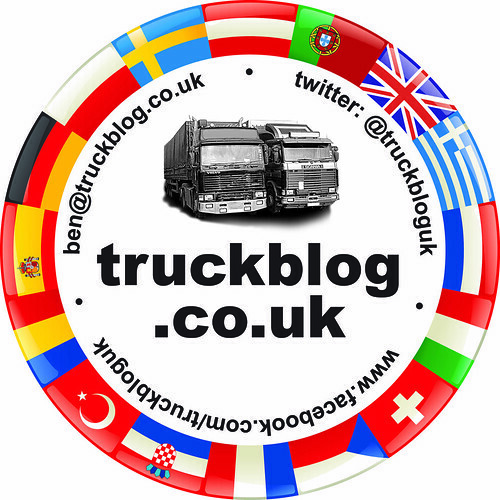 Those of you who follow truckbloguk on twitter you might well have realised that we are now being followed by, Ice Road Trucking royalty, Lisa Kelly. After I tweeted her (ooh-er!) to see if she’d follow the blog, she duly obliged. So as an odd dedication, I thought i’d do an American truck based post and as yet I don’t think I have ever said to much about my Mid America Truck Show Experience. 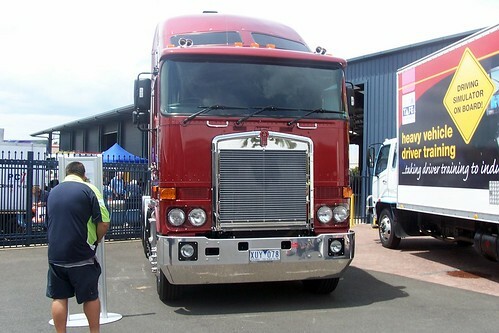 Back in the year 2001, when I was a mere whipper snapper, I went to my one and ony American truck show to date. 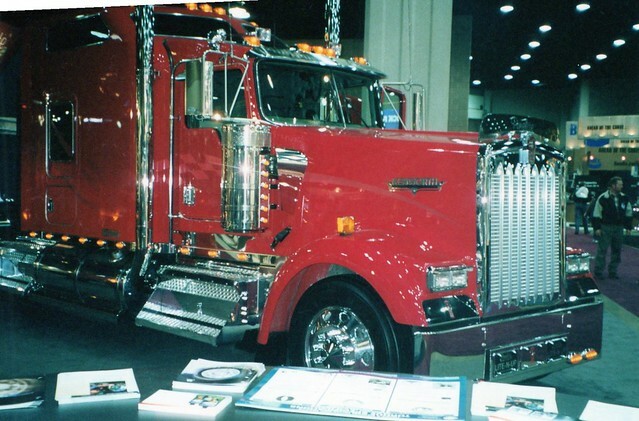 The Mid American Truck Show in Louisville, Kentucky. Part of the main reason for going, other than my slight enthusiasm for a truck, I went out to meet with Panelite. Now for those of you who are saying, Whooooooo?? Panelite were the leading US aftermarket light supplier. 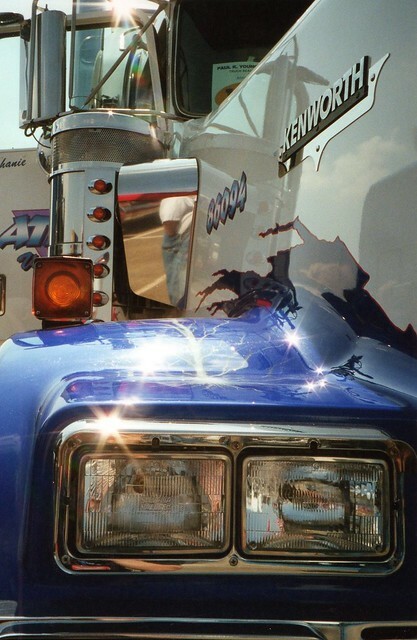 You know all the extra orange lights US trucks have, most of them were down to Panelite. At the time the company was run by the founder and his wife, but in the last few years, due to family differences the company is no more, very sad. I am told by a very reliable source that the rights to production and all other copyrights have been bought by a Canadian company, so hopefully the products will be back on your American shelves before long. The reason I went was, at the time I had been talking with Panelite about starting a European dealership as this was something they were supposedly keen to do, but due to many reasons, not that i really understood them all, it never happened. Shame. Look how successful Kelsa and Spot-On have become. 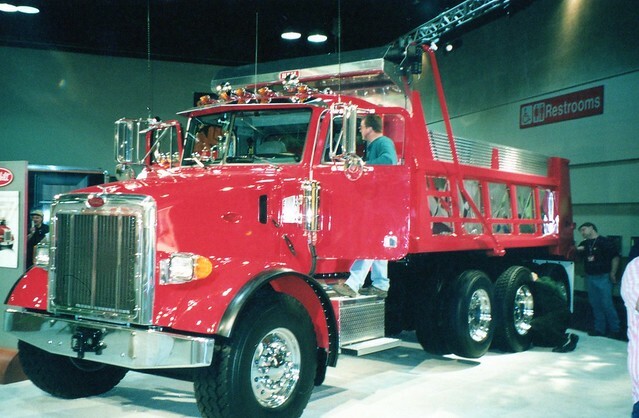 Here are a couple of the then, Panelite show trucks. 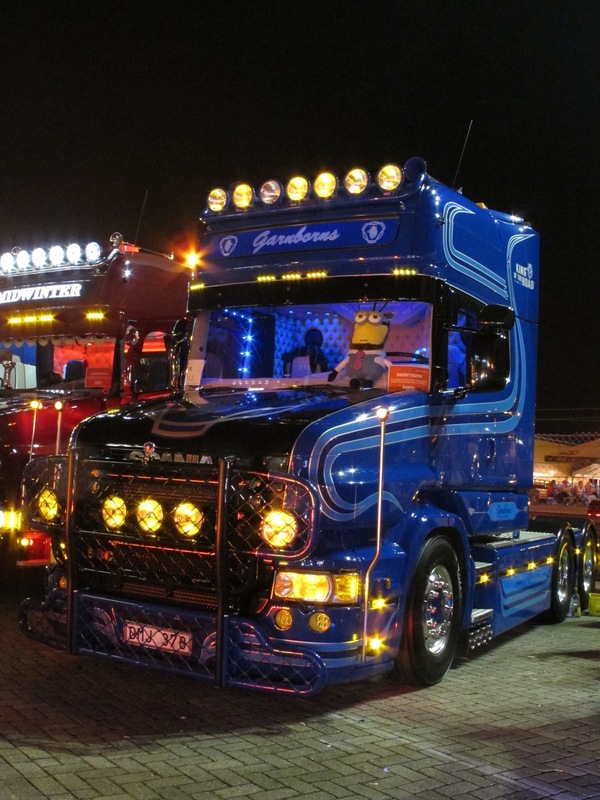 I did think on the way to the show, how would they light the trucks up to show the lights. 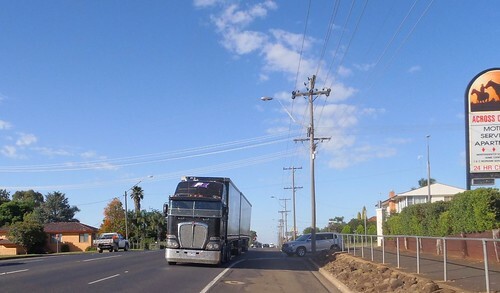 At that point i hadn’t seen trucks plugged into the mains before, once again I guess the American started the trend. 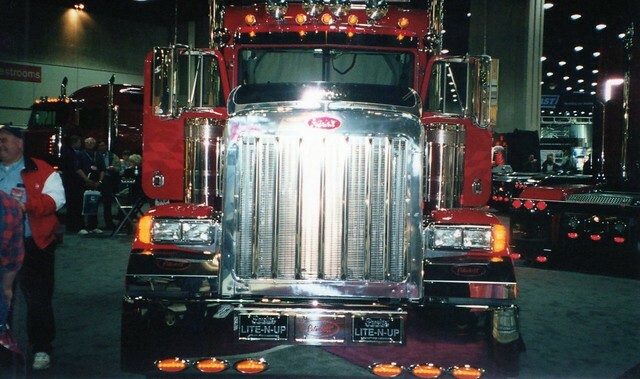 One of each of the main American truck’s were represented, such as the Kenworth, Freightliner and Peterbilt above, all kitted out with every possible stainless steel accessorie that you can imagine. The rest of the show was just a impressive as the Panelite stand. 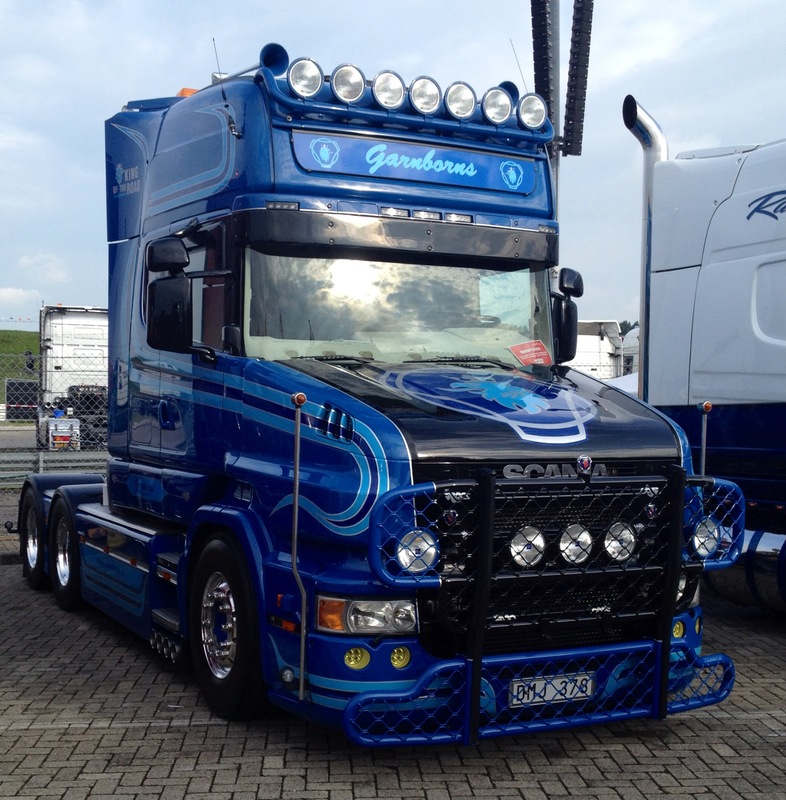 It was just amazing really, for those of you who just think its another truck show, your wrong. All I can suggest is that at some point you make the effort to get yourself to the US of A for a show and I highly highly reccomend the MATS. Out side the is the Truck Beauty Contest. 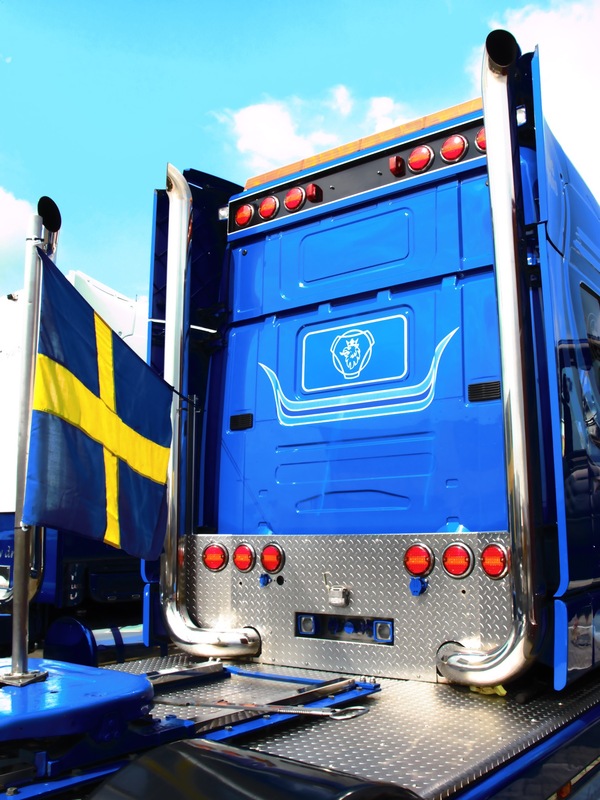 This is really the same sort of standard of trucks as you get at the Nordic Trophy. The trucks were just amazing. 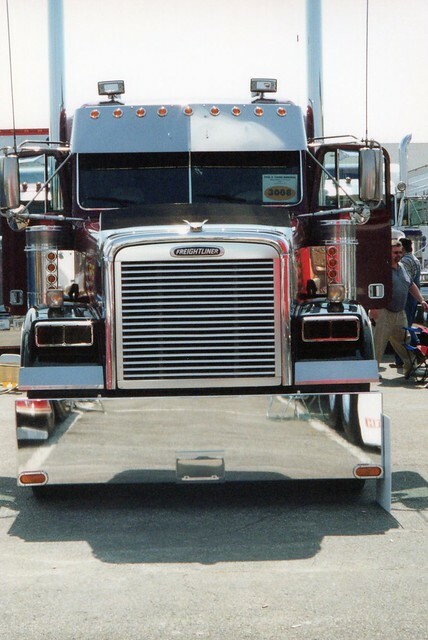 Everything was polished stainless steel and great paint jobs. The owner drivers must put so much effort in, they deserve a trophy each! 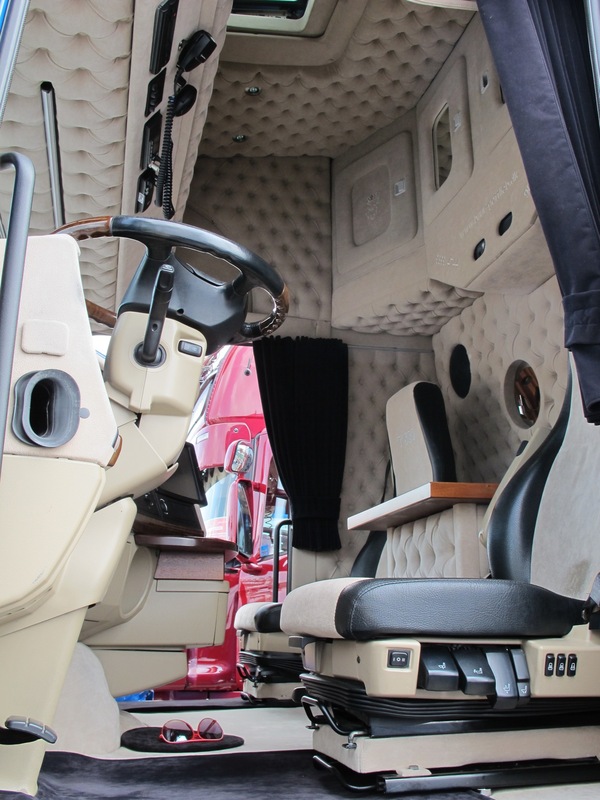 This was the first place I saw wooden floors inside truck cabs! 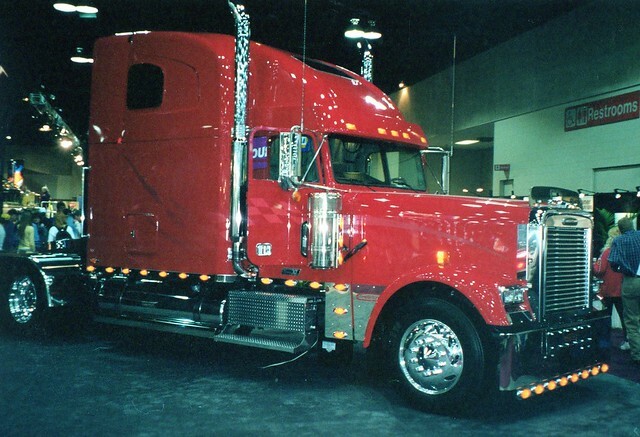 This Kenworth was a prime example of the standard. 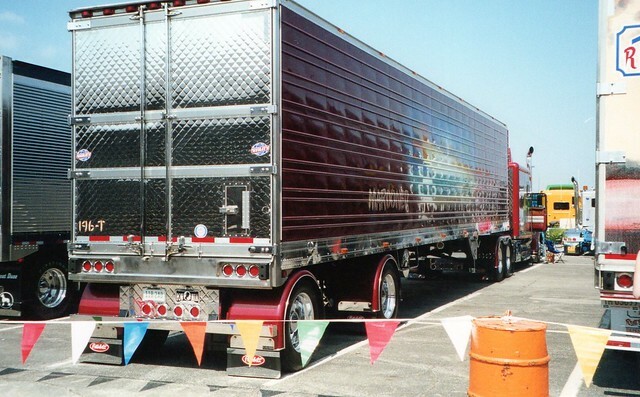 As over here, an awful lot of owner drivers have their own trailers and these too are treated to the custom treatment. 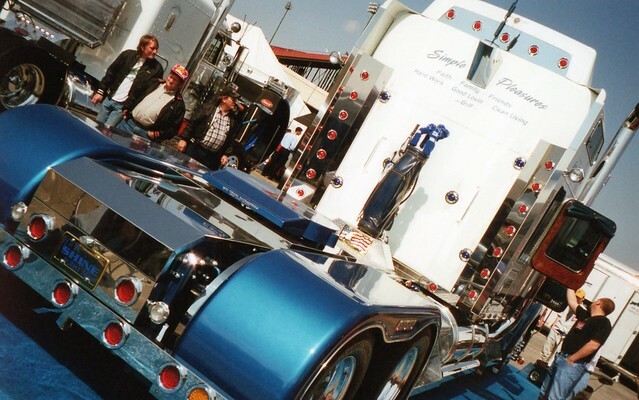 The highlight of these trailer’s, for me, are the quilted effect rear doors, just wicked, although I imagine following along behind them with the Nevada sun shining at its peak, must test the best of sunglasses!! A chunky spud of a tipper.